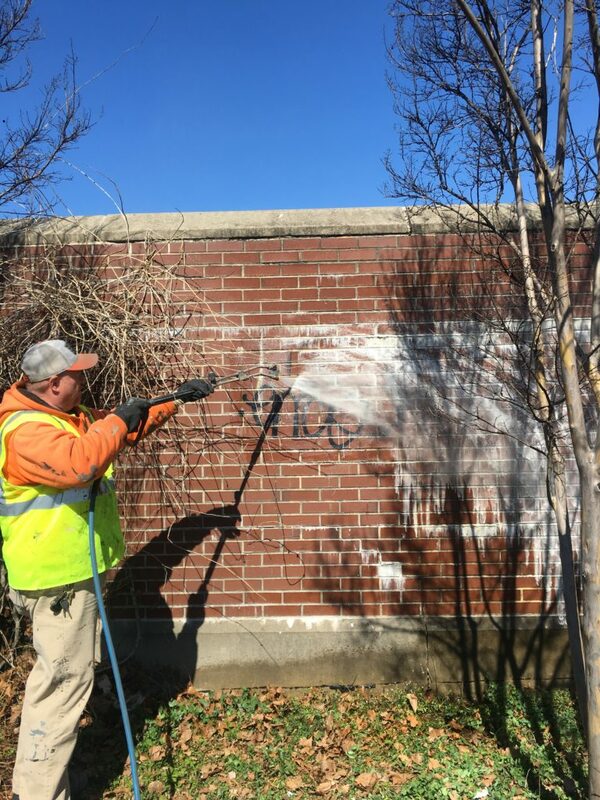 On a sunny afternoon in March, PCDC met with members of the Community Life Improvement Program (CLIP) as they were power-washing the wall surrounding the Holy Redeemer Church & School. 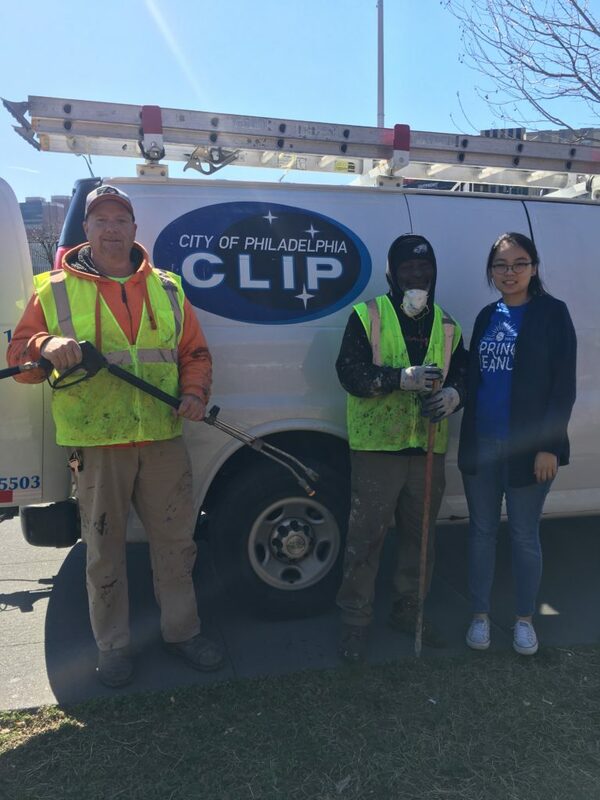 Jonathan and Ken, have worked with CLIP for several years and shared their experience of working to remove graffiti in Chinatown and Philadelphia. With so much foot traffic in Chinatown, the neighborhood is often tagged with spray paint on windows, walls, and street poles. Both Jonathan and Ken are familiar with Chinatown’s geography due to the sheer number of graffiti incidents in the neighborhood that are reported by PCDC. 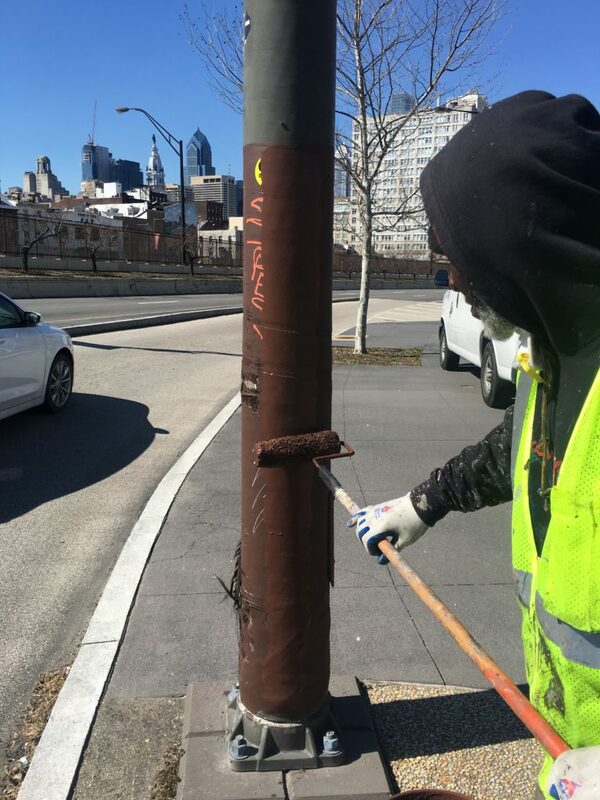 Since January of this year alone, PCDC has reported over 30 incidents of graffiti in Chinatown. CLIP can power-wash or repaint most surfaces that have been tagged by graffiti.